As insurance professionals, we must often deliver speeches in meetings or to large gatherings. It is never easy to find the time to prepare adequately for the talk. Even once prepared, many of us dread public speaking. These four tips will help you painlessly prepare your presentation. What is the theme of my talk? Always begin and end with a clear theme. If you are discussing premium increases at a Rotary Club, for example, your theme may be this: Premiums are increasing worldwide. The only way to control your premiums is through a more structured, loss-sensitive insurance program or through tighter risk management controls. Punch that theme repeatedly in your talk. Know your audience. If you are addressing your colleagues, your tone will be much different than when addressing CEOs of competing businesses, for example. Just because you feel comfortable with your audience, do not let your guard down too far. Remember that every word you utter could later appear on social media or in some blogger’s post, either in or out of context. What steps can the audience perform when they leave your talk that can help them implement action to your theme? Maybe they can meet with their current broker or hire a risk management consultant. Perhaps business owners should explore higher deductibles or other premium cost-saving measures. Anyone can regurgitate statistics and dry, “Rates are expected to increase six percent in the commercial property sector in 2015.” Provide action steps for your audience as a takeaway from your talk and watch their interest grow. How do you want your audience to feel after your talk? Open your talk with some humor and close with a laugh, as well. 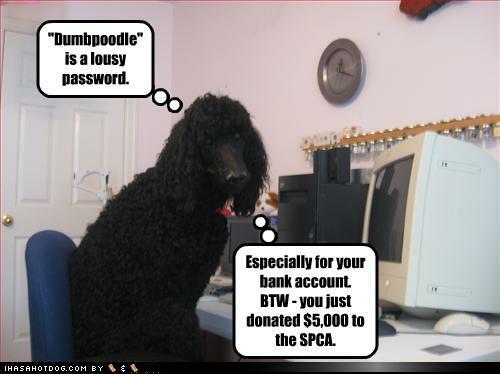 If you’re just not funny, find a funny meme like Dumbpoodle or make one yourself. Never let your audience walk away feeling gloomy. Audiences rarely remember content — they remember how you made them feel. By taking these four steps each time you prepare a speech or even informal talks to your staff members, you will find preparation easier and your talk much more effective.